Chris Black has been appointed the new Head of Fleet at Volkswagen Commercial Vehicles. Set to join on June 9, Mr Black departs from Lombard Corporate Asset Finance where he was UK Head of Corporate Coverage. He has more than 20 years of experience in the automotive and financial sectors. 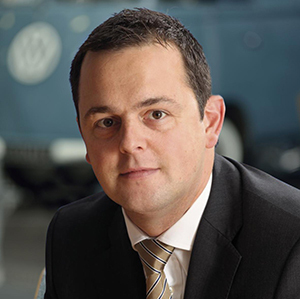 In his new role, Black will report directly to Andrew Waite, Head of Sales Operations for Volkswagen Commercial Vehicles. He will be responsible for spearheading the brand’s fleet sales operation. Mr Waite said: “We are really excited that Chris is joining the team. “His appointment comes as we look to strengthen our fleet team.